I'm obsessed with maxi dresses at the moment. It's the easiest dress to wear at my present state. It's very comfy and you look chic at the same time! I have a few dresses that I can't wear at the moment 'coz they're too long! Hahaha. The downside of being vertically challenged eh? I think I need to go to the tailor to have them altered first. oh i love the whole look with the hat!! i think its just so fabulous that u wore the maxi dress with a hat! gorgeous! nice touch adding the hat! it keeps it interesting! :) thanks for visiting! cheers! 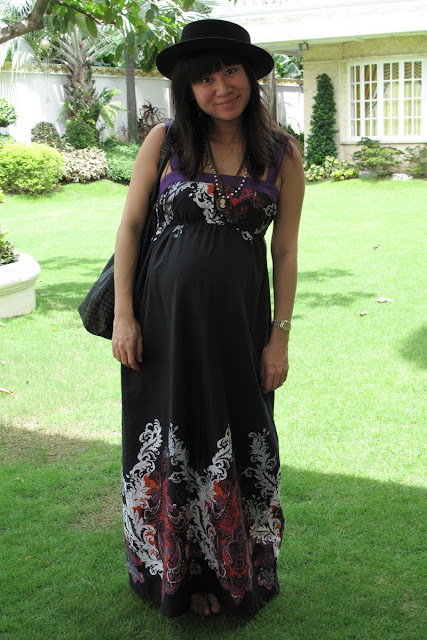 yes, you do look super chic in that maxi dress! and i love the addition of the boater hat!